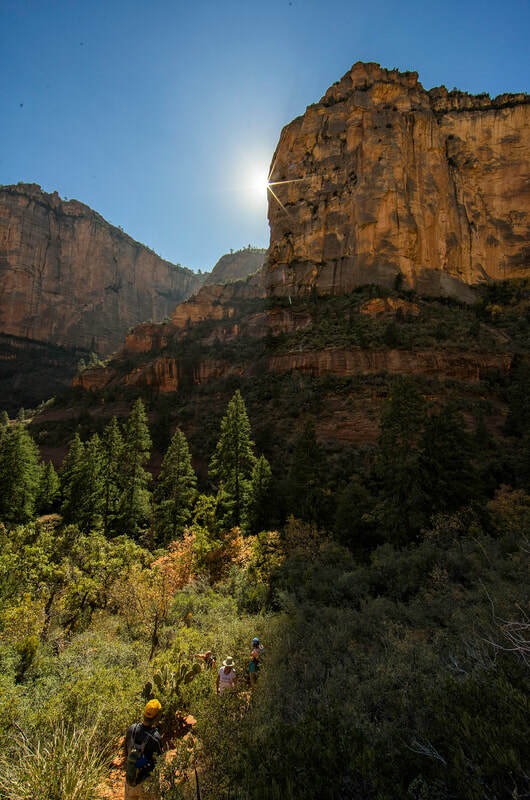 When road-trip fever hits, it seems like it's always a good time to take a weekend run to Sedona. 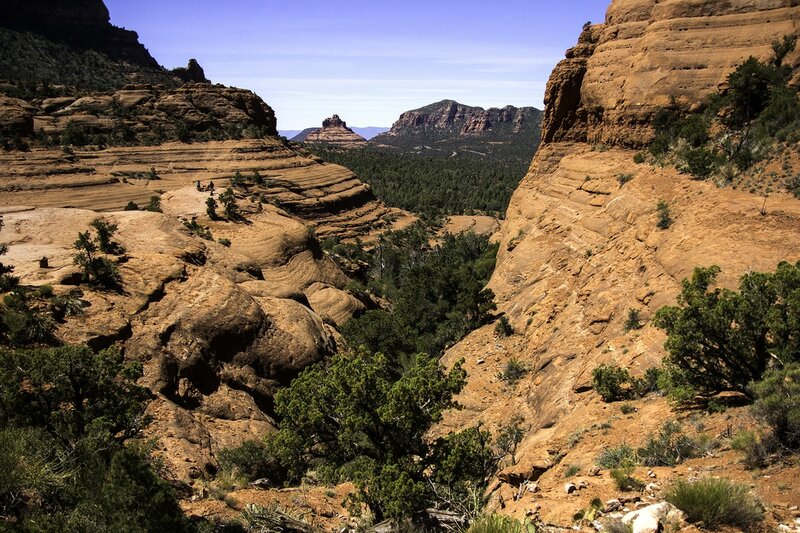 There are good day hikes all around Sedona and in Oak Creek Canyon. 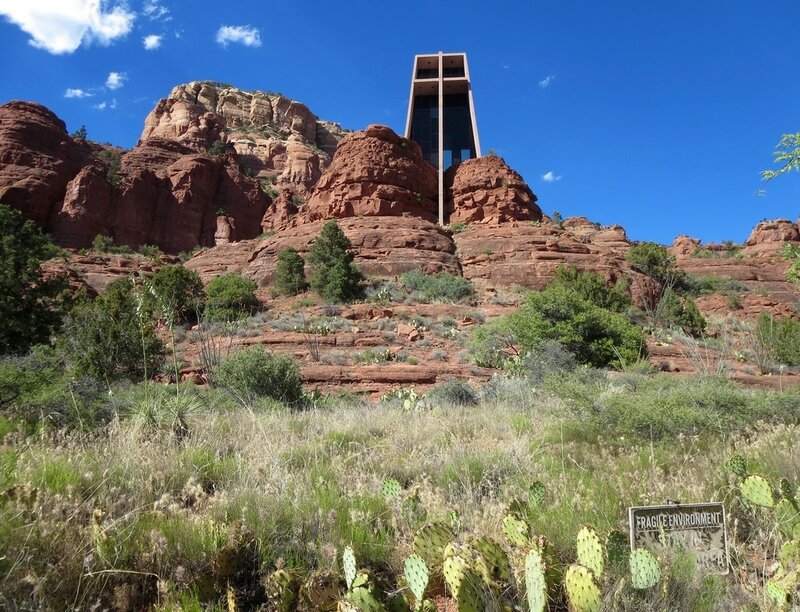 Visitors should also consider touring the cliff dwellings of Honanki and Palatki, which are a short drive west of Sedona on unpaved roads suitable for passenger vehicles. 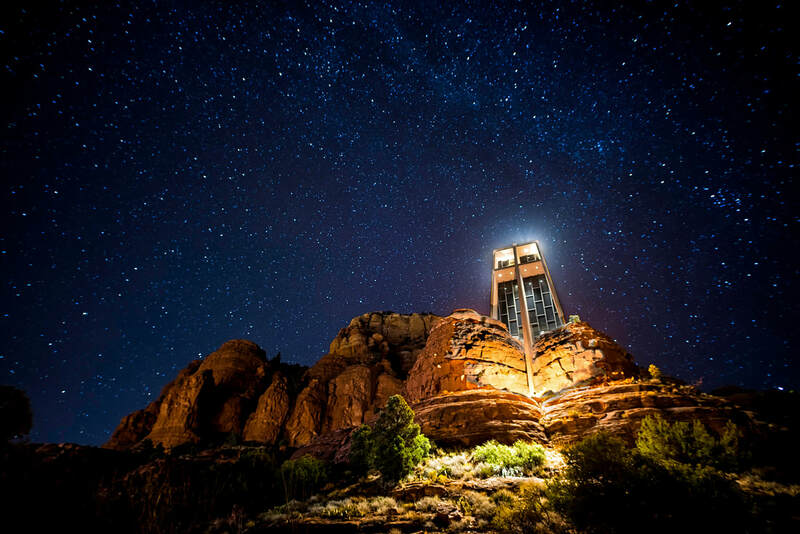 The two sites are the largest cliff dwellings in the Red Rock region and were occupied from about 1150 to 1350 A.D.
Red Rock State Park is a beautiful spot on Oak Creek and there's a scenic loop road leading to the park. In town, there are scores of shops in uptown Sedona with places catering to every whim from jeep tours to New Age mysticism. Visitors might enjoy a stroll through the courtyards and shops at Tlaquepaque, built in a Spanish colonial style, on Oak Creek at State Route 179. In Uptown Sedona, I suggest a visit to the Cowboy Club if you have an an interest in cowboy artists. A rancher and his wife opened a tavern where the Cowboy Club is now in 1945. It became Oak Creek Tavern a decade later and in 1965 was the spot where a handful of Western artists formed the Cowboy Artists of America. The group and its artists have become hugely successful. If it's lunchtime, it's a good time to hide out at the Hideaway House restaurant near the roundabout at SR 179 and SR 89A. The restaurant has treehouse-like views of Oak Creek and the red rocks and a casual Italian menu. 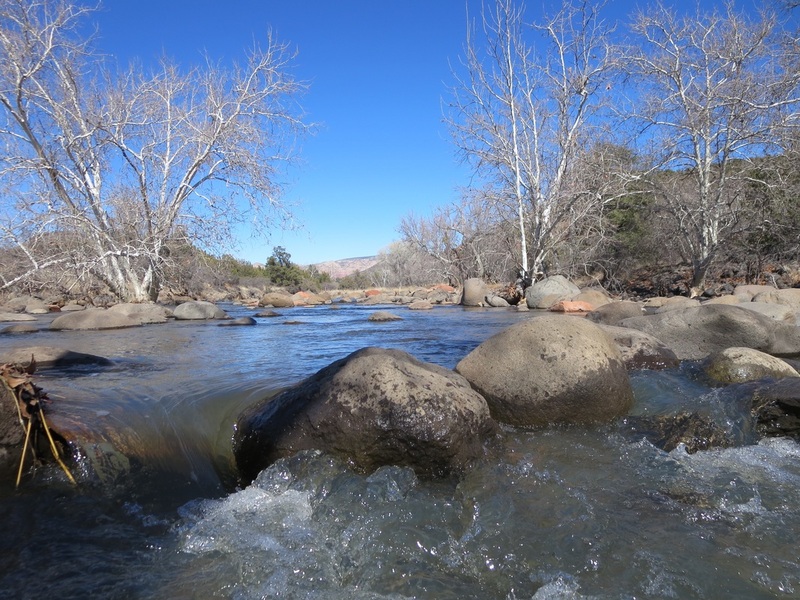 During the summer, get up early to enjoy some solitude or to swim in Oak Creek at Grasshopper Point or Slide Rock. 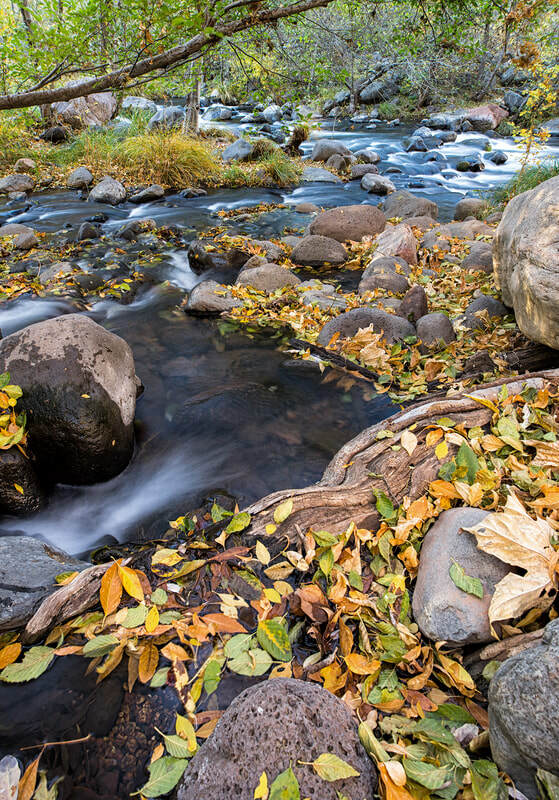 It gets crowded in Oak Creek Canyon on weekends when the weather is good. Traffic also gets heavy on SR 179 coming into town and on SR 89A arriving in Uptown Sedona on weekends. It's best to arrive early in the day or late in the afternoon. Northbound motorists on Interstate 17 can get off at McGuireville, Exit 293, to go through Cornville and Page Springs to reach Sedona. There is far less traffic coming into Sedona from the southwest on SR 89A. There are a few wineries on the road through Page Springs worth a stop. Another scenic option for the adventurous is taking the 12-mile Schnebly Hill Road from I-17 into Sedona. The first few miles are pretty smooth but it gets rocky as the views get better and you descend into Sedona. This route is best for trucks and SUVs but a car with average clearance can make it in good weather. popular spot off SR 179 about a mile south of Poco Diablo Resort. The church and parking lot can get crowded so be patient. It's open daily from 10 am to 5 pm. A good spot for an overview of Sedona is on Airport Mesa. Look for a stop light at Airport Road at the top of the hill on SR 89A heading toward West Sedona. 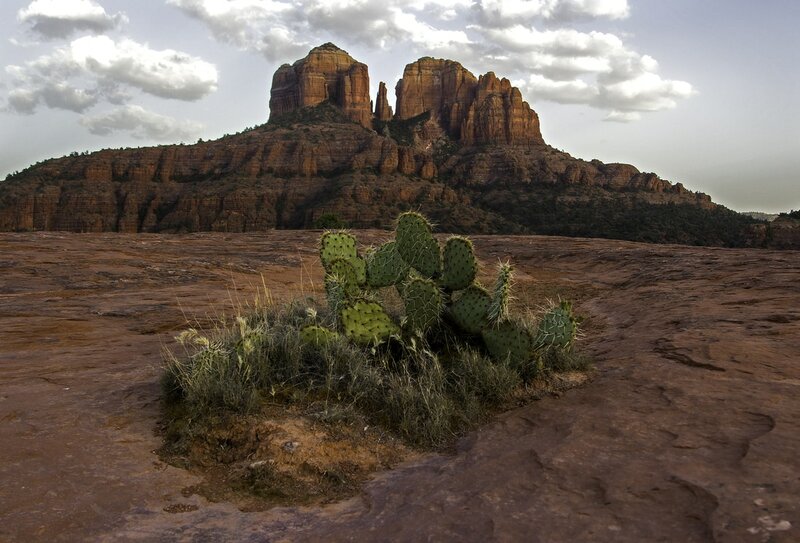 ​uptown Sedona sells the Red Rock Pass and has details on hikes and other adventures. A dilapidated bridge over Dry Beaver Creek south of Sedona. Chapel of the Holy Cross, built in 1956, is on the National Register of Historic Places. The Catholic chapel was designed by Marguerite Brunswig Staude. Dry Beaver Creek south of Sedona flows off the rim and runs along SR 179 before emptying into the Verde River.